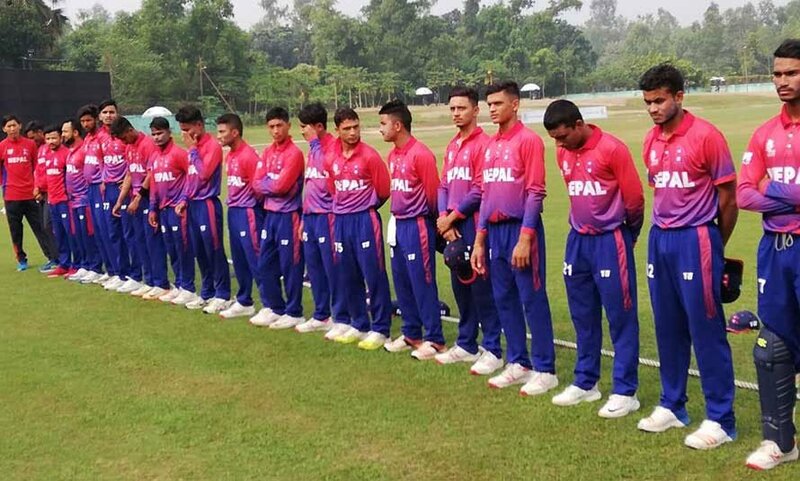 Nepal recorded their second win of the U-19 cricket world cup qualifier against Malaysia beating them by eight wickets. Bowling first Nepal bowled out Malaysia 92 in 32.5 overs. Pawan Sarraf was the pick of the bowlers picking up three wickets and conceding only 13 runs in 8.5 overs. In reply, Nepal only took 13 overs to reach the score losing two wickets in the process. Rit Gautam top scored with 39 runs. With this win, Nepal have recorded their second win of the tournament and sit in second spot on the table with two games remaining. Sitting above Nepal are the UAE who have won all three games they have played so far in the tournament. They beat Kuwait by seven wickets on Monday. This means that Nepal who had lost to the UAE thanks to Duckworth-Lewis-Stern method are now hoping for a miracle to reach the U-19 world cup in South Africa in 2020.